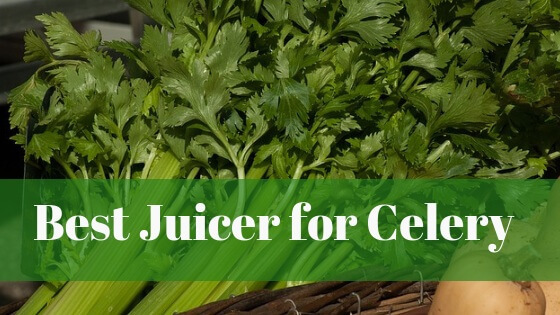 I know you are here because you know the tremendous healing benefits of celery juice and looking for the best juicer for celery which gives you optimum benefits for your health. Most of you have heard of the Anthony William’s movement which is known as ‘Global celery juice movement’. He wrote in his Medical Medium Book series that if celery juice consumes in the right way, it will cure acute and chronic illness. Millions of people get benefited from the celery juice and cure their health problems. In a nutshell, celery juice is the best answer to thousands of health issues. So, here I am going to reveal you best juicer for celery juice with a comprehensive buying guide. Before dive into the best celery juicers, read our buying guide that helps you to choose your best one. 1 What is Celery Juice? 3 How to make Celery Juice in a Juicer? 5 How Long Does Celery Juice Last? 6 Which Type of Juicer is Best to Juice Celery? 8.1 Is it safe to drink celery juice every day? 8.2 How much celery juice should you drink per day? 8.3 What does celery juice taste like? 8.4 Should celery be organic to make juice? 8.5 Do you need to cut the celery before inserting into the juicer? 8.6 Can you juice celery leaves? 8.8 Why drink celery juice on empty stomach? 8.9 Can celery help you to lose weight? 8.10 For whom celery juice is beneficial? Celery juice is juice extracted from celery stalk as well as leaves which are packed with tons of vitamins and minerals. In fact, celery juice filled with phytonutrient that gives you a lot of heart and health benefits. It can reduce inflammation, improves skin health, control blood pressure. There is a long list of health benefits from celery juice. Celery juice fully loaded with Vitamin K, Vitamin A, Vitamin C, Sodium, Potassium. People have been drinking the celery juice regularly, benefited from tons of healing benefits. Looking for the best masticating juicer under $200? then click here our top picks. If you want celery juice, then blending celery in a blender is a bad idea. I don’t recommend blender to juice celery. If you are going to use a blender for celery juice, just chopping up the celery and then blend it, is not enough. You need to add liquid in a blender to properly blend the things. So you need to add water in a blender with chopped celery. You also have to tamp the celery down to get blended properly. It results in the mushy celery juice. Due to high speed of 20,000 to 30,000 RPM blender, you will lose all nutrients and anti-oxidants. Then when you sieve the juice, you lose the most important that is fiber content. Actually, the final produce from blender you will get is celery smoothie, not a celery juice. According to Anthony William, you need to consume celery juice not a celery smoothie for the best results. Don’t use a blender for juicing celery. So, it is always a better option to go with a juicer to juice celery. It helps to preserve the nutrients and minerals due to slow speed. You will get nutrient-rich final celery juice. Looking for budget friendly blender? Click here for best blender under $50. How to make Celery Juice in a Juicer? Making celery juice is very easy like other vegetables. I recommend using organic celery to make juice for optimum benefits. Don’t mix other vegetables to get a pure form of celery juice. You can make celery juice by following way. Take a fair amount of celery that you want to make a juice. First, you need to wash the celery stalk properly. For that wash the celery with warm water. Don’t remove leaves on celery stalk as it also contains vitamins. Get your juicer ready now. Make sure your juicer is ‘slow juicer’ to enjoy nutrient-rich juice. You can use whole celery to make a juice. If your juicer doesn’t accommodate whole celery, then you need to chop it into pieces. I prefer to cut celery to get most from it. Get ready your juicer pitcher to collect the juice. Cut the base with using a knife. Insert the celery in a feed chute of your juicer. Let allow the juicer to do his job. Normally you get 150ml. of juice from five celery stalks. Collect the juice in a juice pitcher. Serve and drink the juice immediately. Leftover juice you can store in the fridge. It is best to drink celery juice fresh. Consume it as soon as possible after making it. If you are busy in the morning, wash and cut the celery night before, it saves your morning time considerably and you will able to make your celery juice fast. When choosing celery to make a juice, keep in mind celery stalk should be firm and straight. The ribs should be rigid. The celery leaves should not be over yellowing. Use organic celery if possible. Searching for best juicer for wheatgrass? then click here. How Long Does Celery Juice Last? If you want to store your celery juice, you need to store in the refrigerator. Cold environment is always good to store the juice. If you don’t store in the refrigerator, it will lead to bacterial growth soon. Celery juicer extracting from centrifugal juicer will last for 24 hours if you store in a refrigerator. If you are using a masticating juicer, your celery juice lasts for 48 hours or for 2 days in a fridge. Celery juice will last up to 4 to 5 days in a fridge if you are using twin gear juicer. Twin gear extraction process slows down the oxidation of juice. Which Type of Juicer is Best to Juice Celery? As I said above using a blender to juice celery is really a bad idea. So don’t use a blender for celery juice. Is centrifugal juicer good to juice celery? No, centrifugal juicers are not a great option to juice celery. Because it runs at around 10,000 RPM that infuses air to your final juice. Due to the high speed of centrifugal juicer, the final juice extracted is aerated. The celery can have clogged easily in a centrifugal juicer. I also don’t recommend to use a masticating juicer if it has high speed. So, if you want to get benefit from your celery juice, then high-speed juicer is not for you. If you want to buy a juicer especially to juice celery, then use a slow masticating juicer. You can use single gear slow juicer or twin gear slow juicer for celery. Both are perfect for celery juice. They can juice celery preserving its nutrients and vitamins without oxidation. It cannot clog easily. They can extract more amount of juice than a centrifugal juicer. There are a lot of juicer models out there in the market. Choosing the best one is quite tricky. So, here are top 10 juicers that juice celery with ease and you will get optimum nutrition from your celery juice. If you are looking for the best juicer for celery juice, consider following juicers. Omega 900HDC Juicer is a horizontal single augur juicer which has dual stage masticating extraction. The juicer comes with an aesthetic sleek design with chrome finish. This Omega juicer fixed with a 2hp motor which is relatively quiet. The motor uses only 150Watts and 120 volts of power. It operates very slow 80RPM that prevents the heat buildup and oxidation of the juice. Slow rpm helps to preserve the antioxidants and phytonutrient which is an essential factor while juicing celery. The juicer comes with a 5-way adjustment setting that maximizes the juice extraction. It comes with the large feed chute, so it minimizes preparation and saves your time too. Now you don’t need to cut down the celery, you can insert it wholly to make a juice. This is a multi-functional juicer. It can grind and juice soft and hard produce, leafy veggies, nuts etc., make pasta, grind spices, minces etc. It has convenient built-in handle which makes it easy to transfer anywhere. Watch the following video that shows unboxing and how to use this juice. Tribest GS-P502 Greenstar masticating juicer is heavy duty twin gear juicer. It is equipped with stainless steel twin gears which are more durable than plastic augur. Motor spins at slow 110RPM. So, you can extract juice from celery without losing nutrition. 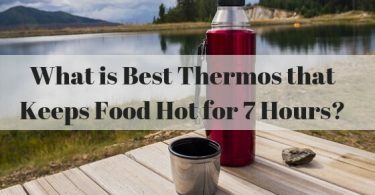 It also prevents oxidation and final juice can last up to 72 hours. The gears constructed of bio ceramic and magnetic technology which helps to extract maximum nutrient and enhances juice shelf life. The gears come with additional cutting points to prevent clogging. The juicer can juice celery without clogging and oxidation. This is a versatile juicer, can juice soft produce, hard produce, and leafy greens. It can also make frozen fruit sorbet, pasta, baby food, nut butter etc. This commercial grade juicer is also reliable for home use. It comes with a safety switch system for the safety of users. The juicer has a tamper holder to place the tamper which makes it convenient to use. If you are looking for powerful commercial grade juicer, then this Tribest Greenstar pro is worth to buy. Watch the below video that shows demo of this juicer for efficient juicing. Tribest GSE-5010 Greenstar Elite juicer is a combination of cold press and masticating technology of juicing. The juice you will get is full of nutrients. If you look at the exterior, it is made of plastic. The plastic used is BPA-free. The interior includes the stainless steel and bio ceramic gears which are the most durable. Its motor operates at 110RPM which minimizes heat during juicing process. It’s unique magnetic and bio ceramic technology prevents oxidation of juice. It means enhances the shelf life of juice. This is a versatile juicer comes with homogenizing accessories to make baby food, nut butter, frozen fruit sorbet, pates, and many more recipes. You don’t need to cut celery stalk while processing which is the plus point of this juicer. Whereas most of the masticating juicer calls for cutting the celery stalk into 2-inch pieces. If you don’t cut celery, it may get clogged in other masticating juicers. So, if you want to juice celery, this Greenstar juicer cut down your prep time. Omega VSJ843QR Juicer comes with slow masticating technology with vertical design. It comes with 150 Watt motor which operates very slow speed at 43RPM. The slow speed keeps its enzymes and nutrient intact. This also reduces heat buildup and oxidation. The juicer comes with automatic pulp ejection system which helps for continuous juicing. You can get super smooth clear juice without containing pulp in it. It extracts the juice from produces till the last drop. Now, you can make your celery juice in your busy morning without disturbing others as it is a super quiet juicer. The juice extracted has 3 days’ shelf life without changing its color and taste. You need to cut large carrots and celery into pieces before inserting in a feed chute. Otherwise, the juicer gets clogged easily. So, it will increase your prep time. But other than that, this is one of the best juicers for celery which extracts dry pulp and gives you silky smooth juice with its optimum nutrients. Check out the following video that shows how to use this juicer. Super Angel All Stainless Steel 5500 juicer is one of the premium quality high-end juicers. But is it worth to buy to juice celery? Definitely yes, if you are serious about your juicing regime. It is a true investment for your health purpose. The juicer made up of high-grade stainless steel that is corrosion resistant. It is equipped with a 3hp motor which operates at a slow speed of 86 RPM. Due to slow speed, final juice has long shelf life i.e. 48 hours. This is a twin gear juicer which can grind foods into a fine powder. In the first stage, you need to insert produce from the top into the feed chute, stainless steel gears grind it slowly. In the second stage, the juice is made through slow grinding pushed to a fine screen and separates the pulp from juice. Final juice comes out from the bottom of the juicer and pulp comes out from the front of the juicer. And now your healthy celery juice is ready! It comes with cleaning brush and screen scraper that eases cleaning. Gear cleaning is very easy as it can clean under running water. Struggling to clean a juicer? Click here for the best easy to clean juicer. If you are on a budget, then Aicok slow masticating juicer is best for celery juice. It operates at slow 80RPM that extracts high and pure yield without oxidation. You can store your celery juicer up to 72 hours as less air added during the juicing process. It operates quietly as it generates less noise while in use. It comes with a reverse function that prevents clogging issue for a continuous juicing process. The juicer is easy to put together and take apart. Cleaning of the juicer is the biggest concern while buying a juicer. But Aicok solves this issue. This Aicok juicer is easy to clean and removable parts of the juicer are dishwasher safe. The juicer can make healthy food along with juicing fruits and vegetables. You can use it for 10 minutes then allow it for a rest about 10 minutes. The juicer needs small counter space to store as it comes with a compact design. Most of the users are satisfied with the result of celery juice extracting with this juicer. The juicer has UL, FDA certification which assures you about the quality of the juicer. Tribest Slowstar SW-2020 juicer and mincer is vertical slow masticating juicer that comes in an appealing and compact design. It is fixed with 200 Watt powerful motor that operates at slow 47 RPM. The juicer has bpa free motor housing and casing construction. The augur and juicing screen constructed of GE Ultem plastic which is 8 times harder. So it is extra durable and long lasting than normal plastic. The juicer has duo-blade augur for the fast juicing process. This juicer has 3-stage reduction gears makes it capable than other vertical juicers to juice more with less clogging. So, you don’t need to spend more time and effort in the kitchen as you can make juice fast and easy. It can make fresh juice of soft produce, hard produce, and leafy greens. The juicer comes with a mincing attachment that converts your juicer into the homogenizer and enhances the versatility of juicer. The juicer comes with juice cap that makes the juicing process less messy. check out the following video that shows unboxing and demo of this Tribest juicer. Omega J8008C Masticating juicer is up-gradation of previous masticating juicers by Omega. It is more a proficient juicer model than earlier juicers. It comes with a 2HP motor which operates at 80RPM. The juicer yields maximum juice with is dual extraction process. The final juice you are having in your glass is full of nutrition and enzymes without compromising the quality of juice. Due to slow RPM, the final juice has 72 hours long shelf life. It uses GE Ultem augur which is stronger and durable than other plastic materials. The parts come into contact with food are BPA-free. It is highly a versatile juicer as it can handle a variety of functions such as juicing, pureeing, grinding, mincing, chopping etc. So, you can make baby food, nut soy milk, nut butter, sorbet, pasta, breadsticks and many more recipes with this juicer. It is excellent in juicing hard produce, wheat-grass, celery, kale and other leafy greens. You don’t need to cut the celery which cut down your prep time. Even you are a newbie for juicing, it is easy to use a juicer. Tribest Solostar 4 SS-4200-B juicer comes in horizontal smart design which uses a masticating process to extract juice. Its dual stage extraction produces high juice yield. It is equipped with an efficient drive system that utilizes 10% less electricity. So, now you can save bucks spent on electricity in the long term. Its gear reduction equal to 5.4 hp motor which produces 26% more torque. More torque means there is a less clogging issue. It operates at 57 RPM which helps to preserve the nutrients and vitamins of juice. Its larger screen is aids for higher juice yield. The juicer also yields 40% more juice, so there are savings on your grocery bills too. If you want to enjoy your celery juice with optimum health benefits, then Will sense slow masticating juicer is one of the best juicers you will have. It is fixed with powerful intelligent gear reduction motor which operates at 60-80 RPM speed. It is quiet while operating as it generates only 60-decibel noise. The juicer has a large 2-inch feeding tube that can accommodate whole fruits. It reduces your prep time considerably. The juicer comes with 5 modes adjustable juicing cap. The material used for juicer construction is Tritan and PEI safe. Juicer augur constructed of Polyethylene that is sturdy plastic material perfect for high-pressure environment. The augur helps to minimizing the oxidation of juice. The juicer covered with 3-year warranty. Definitely, yes, it is safe to drink celery juice each day. Celery juice has tremendous healing power as it is full of nutrients and enzymes. According to Medical Medium, millions of people got benefitted by drinking celery juice regularly and cure their diseases. How much celery juice should you drink per day? You should drink 16 Oz. celery juice every day for maximum health benefits. If you are suffering from chronic disease, 24 to 32oz. juice intake will be beneficial for you. You should drink celery juice early in the morning, empty stomach, 15 to 30 minutes before eating something for the best results. What does celery juice taste like? If you are drinking celery juice for the first time, it may seem slightly bitter to you. When you drink it regularly, you get used to its taste. If you feel the taste of celery juice very strong, then add just one cucumber or one apple in it. As you get used to with celery taste, keep lowering the proportion of cucumber or apple. Should celery be organic to make juice? Organic celery is best to get maximum benefits. You can also buy conventionally grown celery. It can easily available to purchase. Before juicing celery make sure it is rinsed properly. Do you need to cut the celery before inserting into the juicer? It depends on your juicer. Some juicer can accommodate whole celery. Whereas for some juicers, you need to cut down the celery into pieces to make a juice. Cutting celery into the pieces is always beneficial as you can get more juice. Can you juice celery leaves? Yes, you can juice celery leaves. Celery leaves high in vitamin A and C, Sodium, Potassium, Sulfur whereas stem contains different vitamins and minerals. Juicing celery stalk and leaves together gives you optimum healing benefits. So, make a celery juice contains its leaves along with stalk. Celery juice is always better than eating whole celery. By juicing the nutrients can get absorbed into your body easily than eating whole celery. Juicing celery means you get the pure juice without adding pulp in it. It is the best way to get maximum healing benefits from celery. Don’t leave the pulp in juice as it will refrain from the optimum health benefits. So, it is beneficial to have celery juice than eating celery. Why drink celery juice on empty stomach? The best time to drink celery is in the morning. You should drink the juice before eating breakfast or anything. It is better to consume at an empty stomach because the juice gets digested easily and absorb the nutrient and enzymes optimally. You can get maximum health benefits if you drink it in the morning at empty stomach. Can celery help you to lose weight? Yes, definitely you can lose your weight by drinking celery juice. You can lose your weight by having negative calorie food. Celery is the best example of it as it contains 16 calories per 100 grams. It means your body burns more calories to digest the celery than calories included in the food. Celery juice has natural diuretic properties as it majorly contains water and fiber. 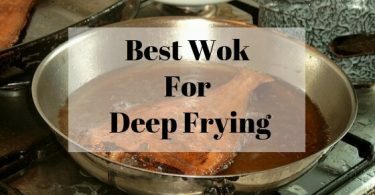 It improves the metabolism, digestion and it is a good toxic cleanser. So, if you want to lose your weight celery juice perfect to consume. For whom celery juice is beneficial? Celery juice is beneficial for everyone. Everyone can consume celery juice for optimum healing benefits. Babies, breastfeeding woman, and children also drink the celery juice. It is very helpful for the development of children and babies. The celery juice helps to detoxify the breast milk and make it pure. So, a newborn can get purest breast milk for better development. So, these are the best juicers for celery which performs best to extract juice from celery without losing its nutrients and enzymes. You can get the final juice with optimum healing power. Investing in the good juicer is ultimately investment for your health. Now, you know that which juicer is best for you. Select the juicer according to your need. I am sure, you will not get disappointed by choosing any one of above juicer models.